This simple dish is very easy to make and it is quite delicious served with Luchi Poories or Parathas. You can eat it with Nan or even with toasted bread. Serves 6. 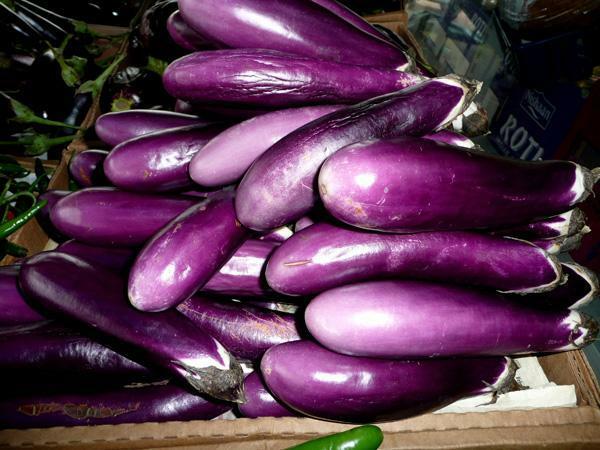 7-8 long, slender aubergines. You can use large ones two, sliced as in picture 3. Slit the aubergines lengthways from tip to stalk end. Leave the stalks intact, just trimming the dry/stale ends. You slice aubergines too. 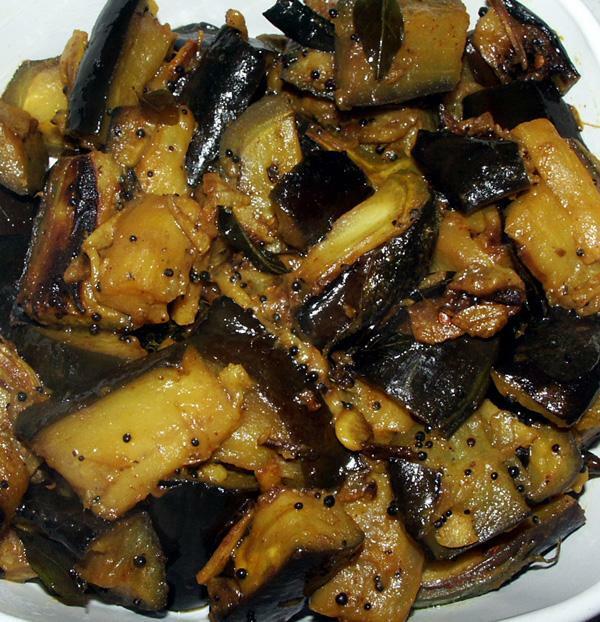 Place aubergines in a bowl, sprinkle turmeric, salt and chilli powder on to. Mix well and keep aside for an hour or so. Heat oil in a wok or karahi/kadhai. Add mustard seeds and when they splutter, add curry leaves and whole chillies. Stir for a few seconds and then add aubergines. 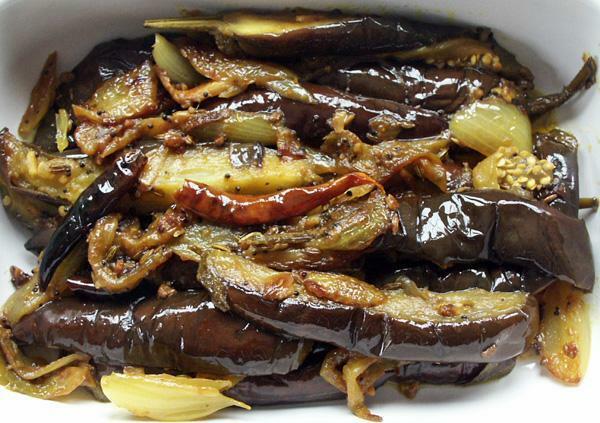 Stir fry on medium to moderate heat until aubergines are cooked. This will take 10-15 minutes, depending on the size of aubergines. Lift off into a serving dish, using a slotted spoon, leaving any excess oil in the wok. Serve hot. This dish is best when served immediately after it is cooked. Luchi are small, Bengali poories made of plain white flour or maida, instead of chapatti flour.